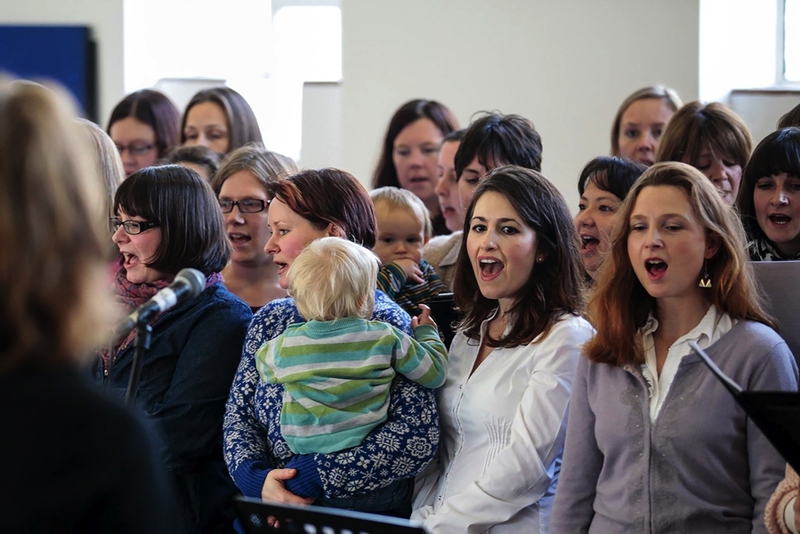 Hummy Mummies is the modern, daytime choir for mums and carers of young children. Hummy Mummies gives mums the chance to do something for themselves, where their baby or toddler is a welcome guest. Mums let their little ones play while they enjoy the challenge of singing in 3-part harmony, without being glared at if their little one makes a noise. No audition needed, just a sense of fun, enthusiasm and willingness to get involved. We welcome everyone – even if they think they can’t sing!